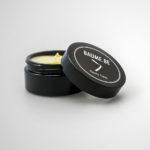 BAIME.BE Aftershave Balm is formulated using a unique combination of alcohol free, natural ingredients, enhanced by essential oils to create an effective aftershave that heals, protects and moisturizes your skin. 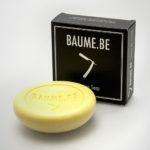 It’s subtle fragrance is Fougre fresh subtle manly, Top notes are grapefruit, aromatic, tea-like. Middle notes are flowery, marine, tobacco. 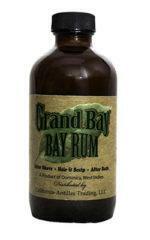 Base notes are woody, tobacco, vanilla, musk. Aqua, Isononyl Isononanoate, Glycerin, Butyrospermum Parkii, Simmondsia Chinensis Oil, C14-22 Alcohols, Macadmia Ternifolia Seed Oil, Polyacrylate Crosspolymer-6, Phenoxyethanol, C12-20 Alkyl Glucoside, Laminaria Digitata Extract, Sodium PCA, Parfum, Ethylhexylglycerin, Magnoial Biondii Bark Extract, Tocopheryl Acetate, Butylene Glycol, Chondrus Crispus, Salix Alba Bark Extract, Lavandula Hybrida Herb Oil, Xanthan Gum, Mentha Arvensis Leaf Oil, Camellia Sinensis Leaf Extract, Citrus Grandis Fruit Extract, Helianthus Annuus Extract, t-Butyl alcohol, Vitis Vinifera Peel Extract, Citrus Medica Limonum (Lemon) Peel Oil, Cupressus Sempervirens Oil, Lavandual Hybrida Oil, Propolis Extract, Rosmarinus Officinalis Extract, Cistus Ladaniferus Oil, Sodium Hyaluronate, Thujopsis Dolabrata Branch Extract, Chamomilla Recutita Extract, Linalool, Limonene. Parben Free – Fore External Use Only.